Thread: On a chemical level what is Aging? Hawaii, a year from now though I'll be in Oakland. I understand that the Mead is becoming more complex, but after the secondary fermentation my understanding is that almost all activity stops, so assuming that the mead is 20 lbs of honey in a 5 gallon batch, what exactly is going on as I leave the mead alone for 5-6 years? My understanding is that the yeast is just slowly digesting the honey after 2ndary fermentation so if the mead is stabilized I don't understand the point of further aging. Any answers and any advice are greatly appreciated! In short it is a complex process that people don't fully understand in wines or meads. But, we do know that the harsher, heavier fusel alcohols will often break down into simple ethanol. This often creates a smoother drink. "From what I understand, a lot of the chemical processes involved are things produced during fermentation like fusel alcohols (the ones that cause hang-over symptoms...and make mead smell like rocket fuel/bandaids) and H2S (sulfur compounds produced by stressed yeast). It also allows the aromas and flavors covered up by those compounds to integrate and "return". Basically, aging helps nasty stuff mellow out (though some things need special treatment) and helps the honey character to return. I think more than anything, this is why it is so important to manage your yeast to make them as happy as possible throughout fermentation. 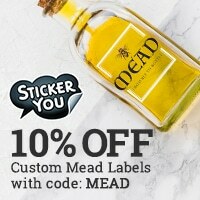 The quality, and subsequent length of aging required, for a mead managed properly is far superior to one that takes 3-4 months to ferment or one fermented at 80F or one with under-nourished yeast. Something I've learned that helps reduce aging and helps to clear a mead faster, both physically and aroma problem-wise, is to use a lees stirrer attached to a low speed drill and occasionally (once every few weeks without aerating) stir up the yeast cake. The re-suspension of yeast allows active ones to continue fermenting, breaks up any spoilage organisms living protected by yeast layers, and the spent yeast will grab things and re-flocculate. Sorry I don't know the actual chemistry involved, but this seems to work pretty well to reduce age and increase quality of end product. Hope it helps! " "There are all sorts of chemical reactions going on, and even in wine, where it has been studied, the answers are not fully understood. However, there are a few things that seem clear. Alcohols, especially some of the fusels (higher alcohols) which can cause harsh burning and some off odors will combine with acids to form esters which don't have the burning alcohol character, and which provide more nice aromas. Phenolic compounds that can cause bitterness tend to aggregate forming larger molecules that cause less bitterness, or they bind with proteins or yeast cells and drop out taking the bitterness with them. The yeast cells (which are bitter) drop out. Undoubtedly there are many other reactions at work, but the result is that smoother, better smelling and tasting mead usually develops." I do know for sure about bitterness dropping out, I've got one batch that's going on 6 years now and it's finally becoming palatable, another year or two and it should be good. If nothing else, aging allows your mead to become crystal clear (though you can speed that up by using fining agents and cold crashing). Like others have said though, not much is known about exactly what is happening, just that it happens. I couldn't tell you why my tomato basil mead changed color after a few months of aging, just as I couldn't tell you how the watermelon flavor came back after half a year in another batch where it had been undetectable before. Basically, it's a wonderful transformation of flavor that you miss out on by bottling early...although some may argue bottle aging has similarities to bulk aging. Find what you like, and hone it to perfection. And don't serve dodgy mead! Always remember, that aging is the natural process of compounds being broken down into simpler compounds, mostly from the work of enzymes. Its all about chemistry. Hopefully, someone will finally do all the work to identify all the enzymes, and physical factors at work in beer, mead, and wine. Until then, we are more alchemists, and artist in this world of brewing, and meadmaking, so enjoy the fruits of your labor everyone! Can I get an "AMEN!" to that along with a "HELL YEAH!"?? along with a "HELL YEAH!"?? I love the alchemist comparison, especially when you look at some of the creations people on this forum try out. The science is obviously an important underlying factor, and the more you know about the science the more focused your mead attempts may be, but I think the art and magic of meadmaking still outweighs the science for me. Time to go check on my room full of bubbling bottles and liquid gold. I think when you have myth and science coming together, what emerges is something on the level of art. Most of what we can guess about the aging processes in meadmaking are from parallels drawn from the science of winemaking and brewing, and anecdotal observation. There's still a lot to be done in identifying the flavor components in honey, and that's what is needed to better understand aging in meadmaking. 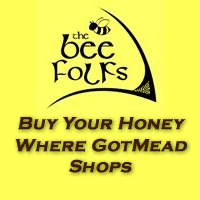 The more interest picks up on mead, and commercially available meads, the more (hopefully!) research oriented folk will start looking into this. Oh yeah, I should also add that it isn't likely that enzymes are involved in aging since alcohol denatures enzymes, making them inactive. Last edited by Dan McFeeley; 02-14-2011 at 02:03 PM. I was going to say, enzymes seems pretty unlikely for that very reason. But did the boiled fruit improve with age Inquiring minds demand to know. Yep (referring to boiling fruit prior to making must with it). Wow. I am stealing this.